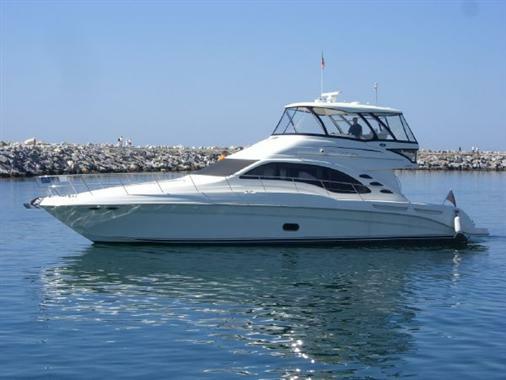 2005 Sea Ray 585 Sedan Bridge This is a great opportunity to buy a Sea Ray 585 Sedan Bridge with an engine upgrade to twin MAN 900hp in perfect condition, skipper maintained with few hours of usage. Ideal for a family or as a comfortable cruising or fishing yacht. This yacht has a white hull.--------------------------Questa una grande occasione per acquistare un Sea Ray 585 Sedan Bridge: manutenzione otore di 900hp MAN gemelli (perfette condizioni), skipper mantenuto con poche ore di utilizzo. Ideale per una famiglia o una crociera. Carena bianca.